My husband, Dudley DeNador was my guest for Live Your Music this week. at Fenix Supper Club in San Rafael, California. Dudley is a business owner, graphic designer, aerial & architectural photographer, writer, musician, and singer songwriter. After majoring in design and photography at Art Center College of Design, Dudley did contract work for a few ad agencies in San Francisco and Marin. 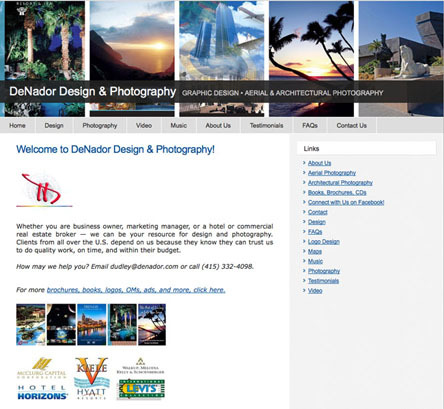 In 1980 he started his own business which is known as DeNador Design & Photography. Dudley's experience includes branding, identity design, and layout for advertising and collateral materials. His photographic specialties include: architectural photography – exteriors and interiors for commercial properties and hotels as well as award-winning aerial photography. Dudley is also an accomplished musician and singer songwriter with two albums of original music recorded by a close and very talented friend, Robert Berry, owner of Soundtek Studios in Campbell, CA. 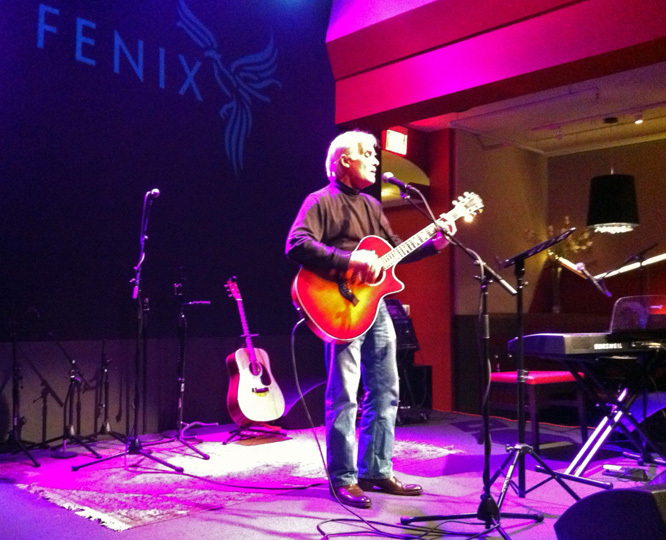 Dudley enjoys performing live – especially during the West Coast Songwriters' competitions held monthly at Fenix Supper Club in San Rafael, California. The West Coast Songwriters' competitions at Fenix are the first Tuesday of the month from 7-10pm. 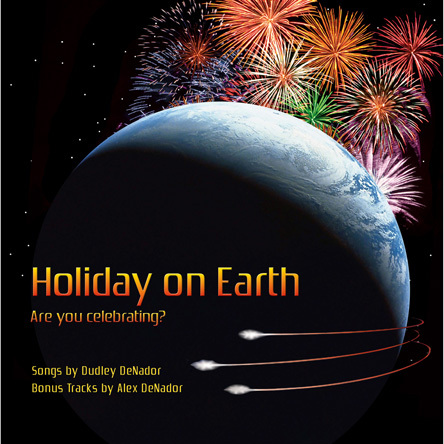 During the show today I played the title track from the album Holiday on Earth. 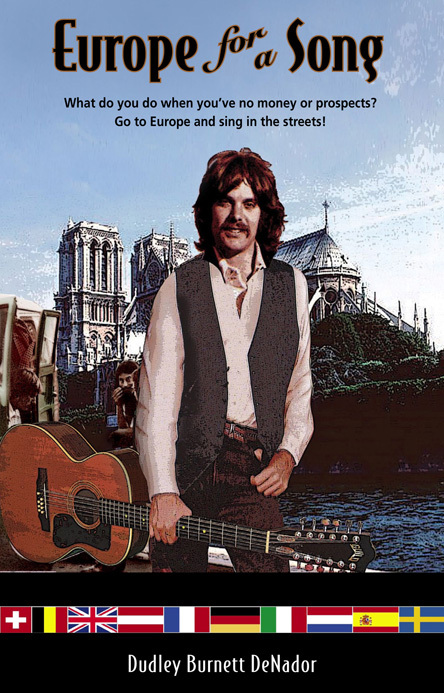 Dudley has written ad copy for various clients as well as articles for a few publications and he has also started writing a novel, Europe for a Song, about a trip he and two friends took to Europe in the summer of 1971. During this sixth-month journey he supported himself by playing guitar and singing in the streets. The novel will follow the events of the journey along with many fictional additions. He expects to have it published later this year. 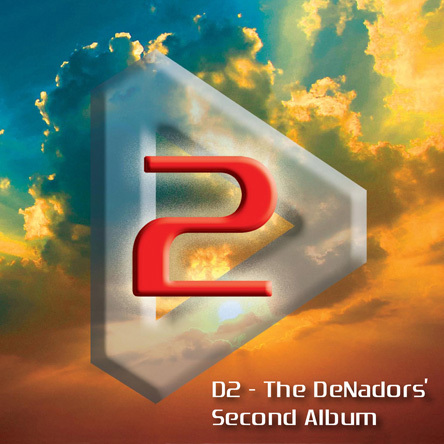 To buy albums and songs by The DeNadors' on CD Baby, click here. My husband, Dudley, is an awesome example of someone who is living his music in a variety of ways. It was great fun talking with him on Live Your Music today. Please grab a cup of coffee, tea, or your favorite beverage and listen to the replay of my Live Your Music interview with Dudley DeNador.